A Striped Vegetable Spaghetti with better flavor! A cross between spaghetti squash and delicata, the threads in this squash are softer and more mild, with more corn-like flavor than the usual spaghetti variety. The skin color of Stripetti F1 changes to indicate ripeness. Fruit are very hard, giving long shelf life and good shipping. Good keeper. Cook whole in boiling water for 30 minutes or microwave. Good with pasta sauce. With both spaghetti squash and delicata ancestry, these squash are stringy but with sweeter, more rich flavour than the standard spaghetti. 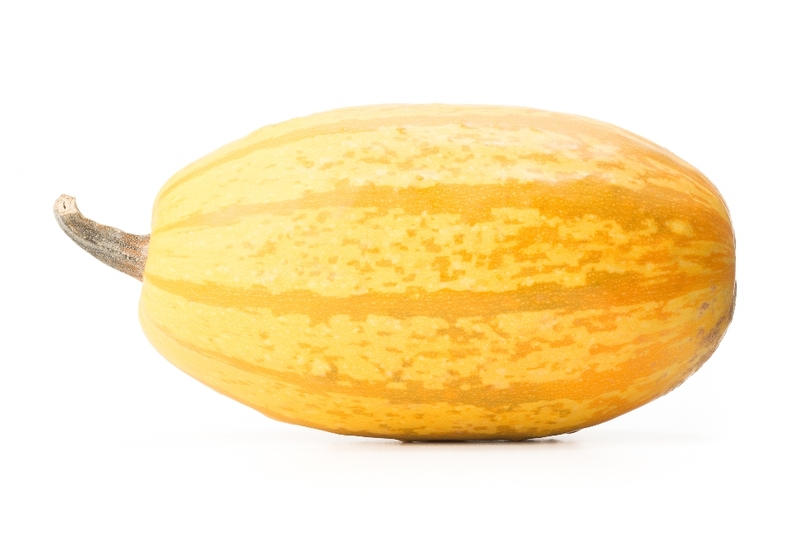 Some fruit have stripes, others don't� it's the delicata coming out! When ripe these are deep-gold some with yellow and others look like regular Spaghetti squash.